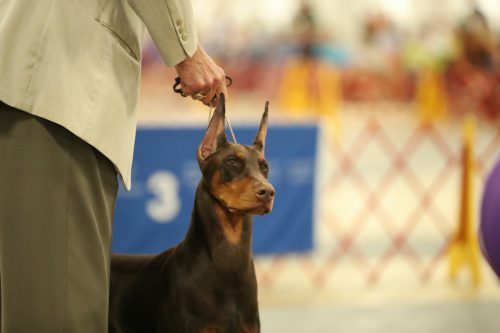 Liberty defines the Doberman standard. 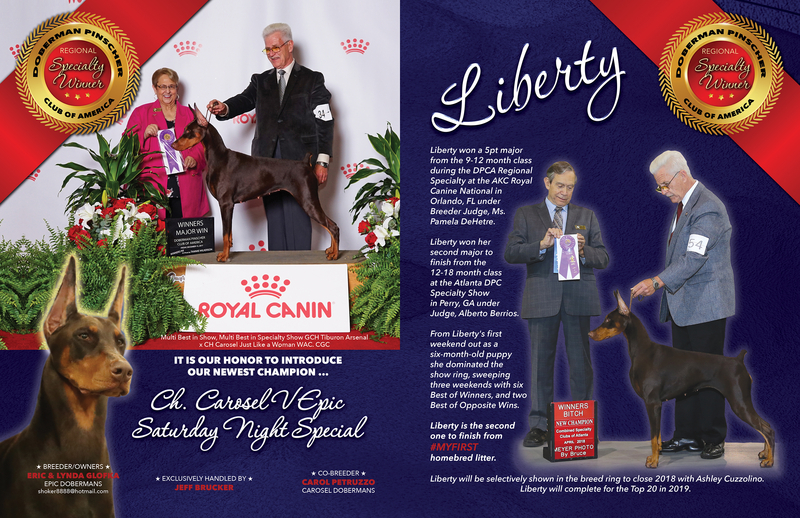 Liberty is compact, powerful, determined, loyal, energetic, watchful and fearless. 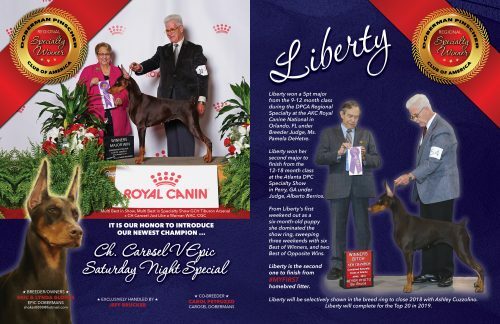 Liberty has the Eyes of an Eagle and a personality to match. 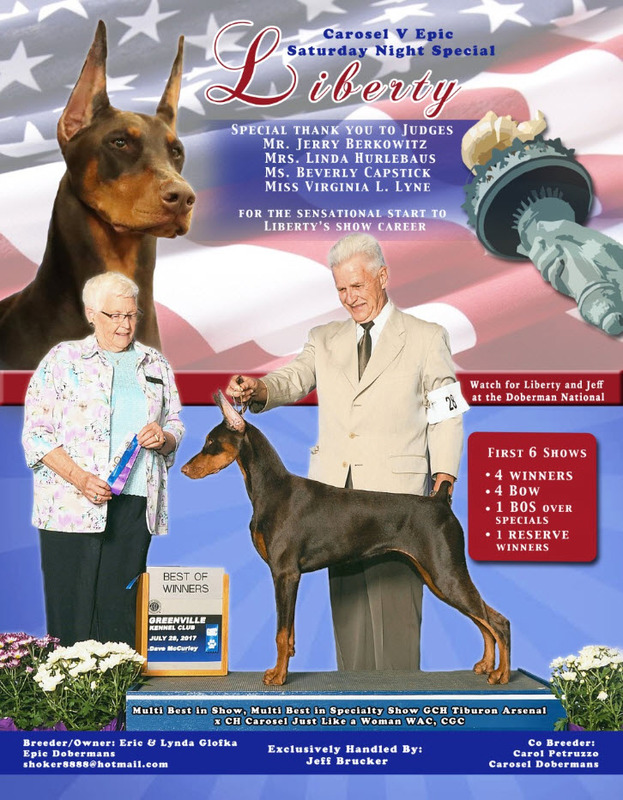 Liberty is out of Lucia’s first litter. 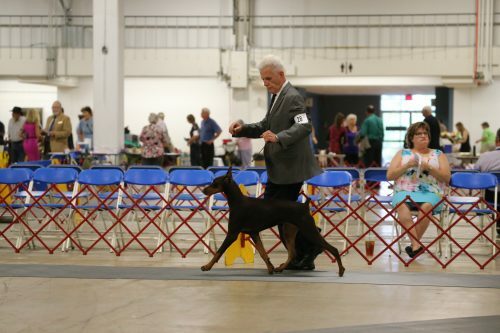 Liberty finished her Championship with two Regional Specialty Majors. 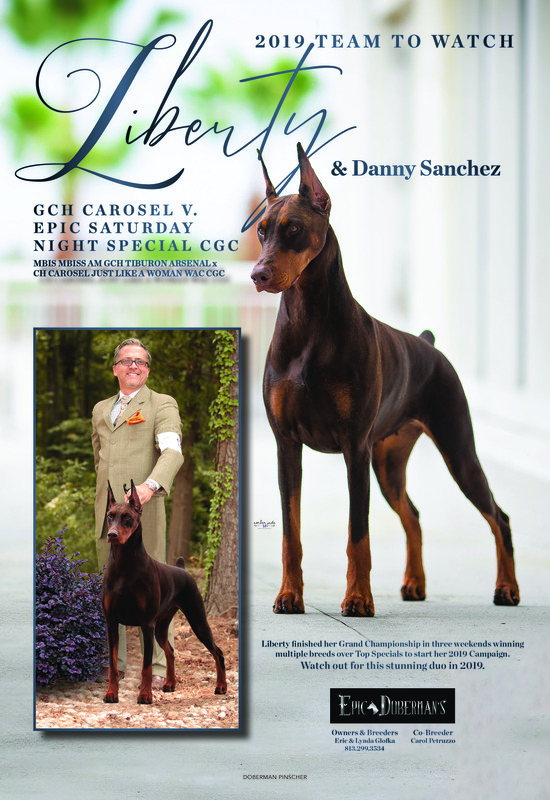 Liberty won the Atlanta DPCA Specialty Show in April 2018 under Judge Albert Berrios. This comes just after Liberty’s 5pt Major during the 2017 DPCA Regional Specialty at the Royal Canine National Dog Show under breeder Judge Pamela DeHetre. 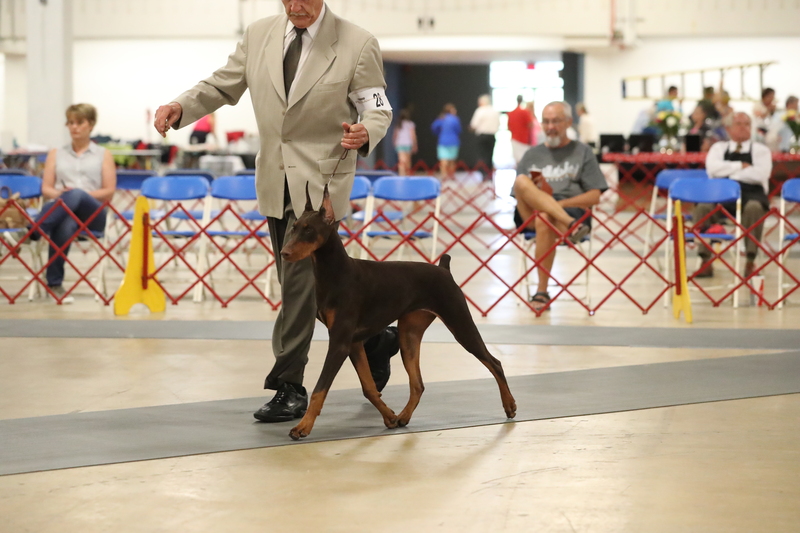 From Liberty’s first weekend out as a 6 month old puppy she dominated the show ring, sweeping three weekends with six Best of Winners and two Best of Opposite Wins over multiple specials. 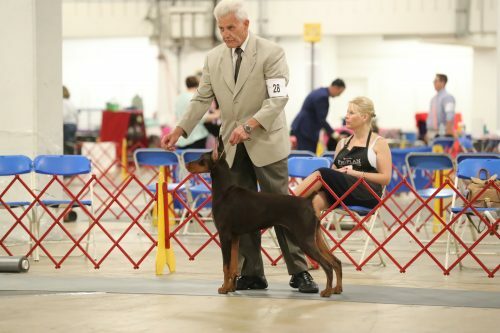 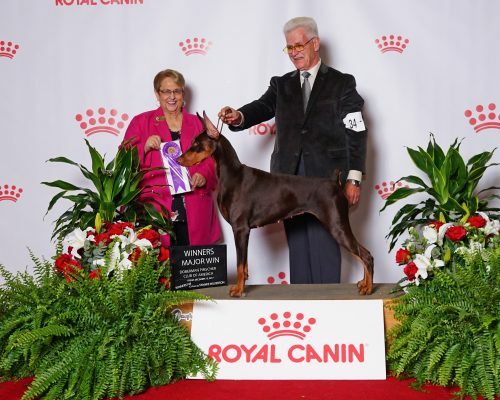 Liberty was bred by Eric & Lynda Glofka of Epic Dobermans & Carol Petruzzo of Carosel Dobermans.